Michael Ayari is the International Crisis Group’s Tunisia senior analyst. He joined the organization in 2011 as a consultant for the North Africa Project. Ayari previously worked as a research associate for the Research and Studies Institute on the Arab and Muslim World (IREMAM). 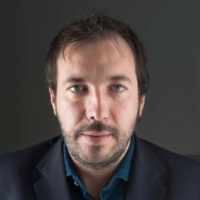 He holds a PhD in political science from the Institut d’Etudes Politiques d’Aix-en-Provence and has extensive research experience on political movements in the Maghreb.